Not all libertarians are rallying for Trump. Many in fact are strongly opposed to him. Ron Paul, who I highly respect is one of them. Trump, I think is the candidate that can do the most to make Americans more open to libertarianism. I did list a few anti-statist positions that Trump has taken in my post. You have provided no evidence that the Trump base is all you said it is. Even if this were the case, this would not undermine the reasons that I support him if that's what you're implying. I don't care about what his supporters think. Most supporters of all the major political candidates are uninformed and many support them for the wrong reasons. The reason I voted for him and the main reason I think he is so appealing he calls out the corruption of the political system and the media's propaganda. None, of the current candidates want to change the system much less replace it with a libertarian form of government. This I understand. The bottom line however, is that one of these candidates will become president and so I have to pick the best one. As I have stated in my post, protest voting is not likely to be effective this election. 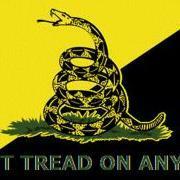 And yes, I understand that undermining the political establishment is not the same as supporting liberty. Bernie Sanders for example could be described as remotely anti-establishment but I will not vote for him because he is the establishment on steroids. His rhetoric is pro-government and pro-socialism which will only send us down the same road, only faster. Trump on the other hand challenges government and its corruption as well as the media which keeps support for the government strong. Although I understand that he is not anti-government as I am, I do think his rhetoric will make people less trusting of government as opposed to more trusting of it. This is not my faith, it is simply picking the best option available based on my analysis. I do not support any of the candidates but I believe Trump is the best option out of all of them. Since one of them will become president, I voted for Trump to keep the worst of them from becoming president. You have also once again made gross generalizations about Trump supporters without providing any evidence for such sweeping claims. As I've stated, you don't have to tolerate them. There would be very few that would exist and the small minority that did would easily be destroyed and would teach such future companies a lesson. What if the states or provinces you are talking about decide to initiate force? Then you're in trouble. The historical record is clear. Governments fail to provide ethical systems of justice and grow bigger than when established. As prosperity increases under a free-market the more people will want this prosperity. If there is a centralized coercive agency that has control of the guns they will not be too keen on hesitating to violate whatever ethical standards you put in place (which they must enforce by the way). This is why the United States government grew from the smallest, least powerful government in existence at the time to one of the largest, most powerful governments the world has ever seen. This is all beside the fact that freedom and government are incompatible. Nearly all governments in existence have stolen money under the threat of violence and although you might want one that doesn't, you will still have certain human beings arbitrarily selected to have more power than others and hold a coercive monopoly on defense, justice, etc. No you wouldn't have to tolerate them. I believe that upon establishing such a society, which will not happen overnight, we need to have a basic code based on the non-aggression principle that all such companies that are to be set up would agree to follow. Any company that deviated from this could easily be annihilated by other companies. There will also not be restrictions of firearms making oppression much more risky and an even worse business model. Companies would not engage in oppressive behavior in the first place because they would know how dangerous and self-destructive it would be to do so. Just like no company would sell a pencil for $100 because they would have no business if they were to do so. In the free-market companies form business models conducive to their survival. If the government which has a horrific track record of becoming oppressive does become oppressive you cannot simple "hire" another government if the government has a monopoly on force in your region like you can simply hire another voluntary protection agencies. This is especially true with a government not democratically elected. What makes you think governments can't form oppressive ideologies or become corrupt as they have throughout history? Why is this restricted to private companies? Both are run by humans. The difference lies in the incentives. One is subject to competition and market incentives while the other is monopolistic, coercive and largely unchecked by any other entity other than itself. With all due respect I think you unfairly place the burden of proof on the anarchist rather than the statist which it should be placed on. I have explained this in earlier posts. Your second claim is completely untrue. It is quite the opposite as a matter of fact. Criminal organizations bribe government politicians to get away with what they get away with and thrive off of government prohibitions on things like drugs, prostitution, gambling, etc. It is also clear that religious fanatics have done far more damage under governments. The inquisition, and oppressive religious theocracies have all existed under governments not anarchy. This type of religious oppression has been far greater than any such oppression by private entities. If you are referring to terror groups in places such as the Middle East, you should note that these religious terrorist groups have been propped up because of regional instability created by a series of corrupt military dictators (who by the way readily take bribes from such groups) and foreign intervention by governments such as the United States governments. Organizations such as the Islamic STATE of Iraq and Syria want to set up a governmental theocracy. 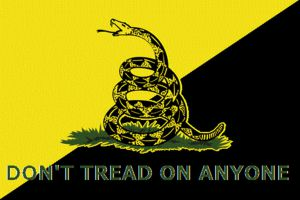 They are not calling for anarchy and certainly not the type of libertarian anarchy I am calling for. I never said there are no consumers that would be pleased to do bad things. I am against abortion for the record and believe it violates the non-aggression principle but in the case of other issues of initiating force, I have already shown how the market provides an incentive for the upholding of the non-aggression principle as consumers are much more likely to spend money defending themselves than aggressing against others. It would be a very poor business model to get involved in conflicts which is why companies will in advance have a contract which requires them to submit to a private court to settle disputes. The private court would rule in the way that best upheld the non-aggression principle because companies would want to avoid conflict. You seem to think that private companies are governments. They're not they have to pay the cost of war or initiation of force themselves and be responsible for the risk that a conflict would bring them. You also seem to act as though there aren't voters who are wiling to elect politicians to do the things that you abhor. Even if you agree that abortion is a right, in a democratically elected government there will always be people who will disagree and will elect politicians who will violate this "right"
Wow, this post sure created quite a dialogue. I don't have time to read all the comments here, but I will just ask this one question that may or may not have been answered in this lengthy dialogue. Suppose that stealing is morally justifiable in a lifeboat scenario which is a premise I disagree with. Why does it not then follow that a person dying in a hospital has the right to free healthcare or to steal it from someone else. If life value by which everything else is derived in Objectivism, then doesn't a person's right to life supersede a person's right to their money or property? He did not adequately answer as Walter Block explains in his analysis. He merely says it's a faulty analogy because the quantities. He also says that there are differences between nations and a world government. He merely asserted a premise without explaining why it is valid. What basis does he have for these arbitrary distinctions? He also confuses a private dispute resolution organization with a government which has the right of initiatory force and a monopoly on justice in a given territory. The basic point still holds true. If the argument is that we need a government to prevent dispute resolution agencies from fighting (which by the way have a disincentive to fight and cannot forcibly collect taxes in a given territory thereby making fighting much less likely), then why do we not need a world government to prevent nations from fighting? I'm not saying that everyone would be unable to do anything but manipulate and lie if they can get away with it in either system. What I'm saying is that if you are concerned about people initiating force in a market you should be much more concerned about it in a system with a centralized monopoly on the initiation of force. It makes it much easier for those with evil intentions to act on them.